Home → Alt Coin → Who is Josh Garza and Why On Earth Is He Back? If you’ve been involved in cryptocurrency longer than a year, you know of GAW Miners. You most likely know of the drama surrounding Josh Garza, who founded the company and proceeded to oversee the “creation” (read: light modification of Peercoin, mostly in such a way that benefited a certain few addresses to the tune of 300% interest rates) of Paycoin. By all accounts, even those of his former supporters, the whole ordeal turned out to be a glorious exit scam, with rumors of Garza fleeing federal authorities to Dubai. Now comes Garza again, showing up in someone’s LinkedIn feed just the other day. 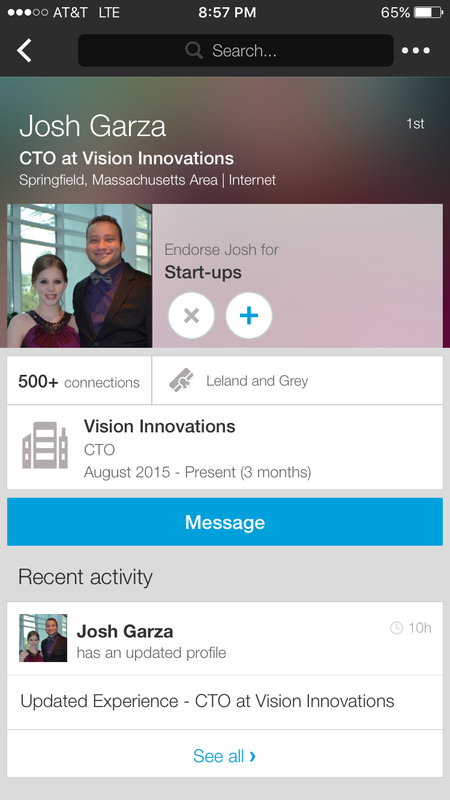 His profile says that since August, he has been CTO of a company called Vision Innovations. Further investigation of Vision Innovations revealed that it is a real company. On the other hand, another media outlet has gone “dark” in recent months, and speculation points to their involvement in a criminal case against Garza and his cohorts. Garza’s friends reportedly threatened the proprietor of this other news site to the point that he legitimately felt afraid for his life. An unconfirmed leaked document tells the story a little better, but is unfortunately no longer available. Paycoin’s main promising feature was that it guaranteed investors a $20 return, no matter what happened. It was amazing to many that people went along with this ICO, despite the fact that Garza had defaulted on other promises before – namely the “always profitable” promise of some of his “cloud mining” schemes. Later investigations showed that Garza did not in fact have any cloud mining centers, but by then it was clear to many that investors would receive next to nothing on their investment. In a most ironic twist of fate, a coin invented by BitcoinTalk user Crestington, called PayCon, is presently outperforming Paycoin (XPY) on Cryptsy. Paycoin still sees significant volume there, as it has become more of a speculative vehicle than anything. Garza’s first company, Great Auk Wireless, continues to get horrible reviews, with reports of some customers being out of service for weeks on end with no response from customer support. A history of scamming, bullying journalists, and being less than honest should be enough to end any career, but it seems Garza is gearing up to ride again. “CTO” is somewhat laughable being that he has never once, personally, demonstrated an iota of technological skill. Time will tell what actually becomes of him, but in the meantime, know that he is claiming to be back in business – not in prison – and that should be worrisome for anyone who fell victim to his charades before. Disclaimer: The views and opinions expressed in this article are those of the author and do not necessarily reflect the official policy or position of Altcoin Press.